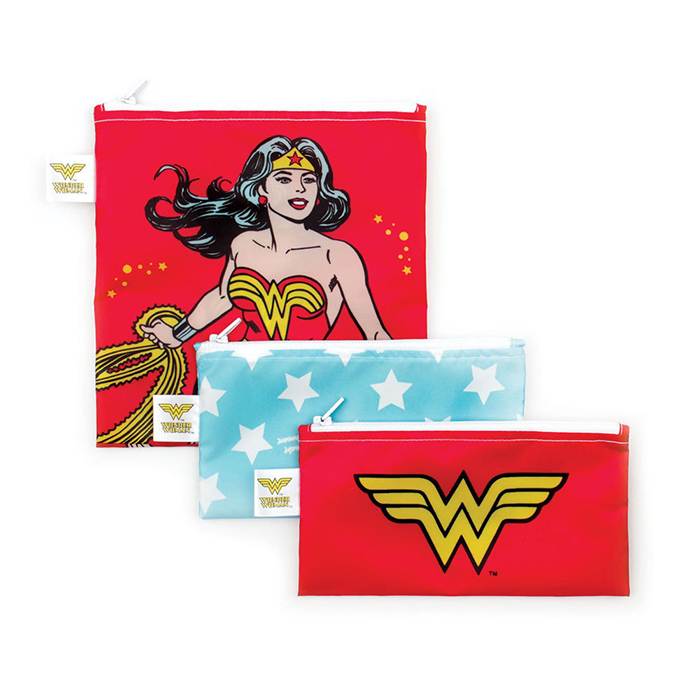 Bumkins DC Comics Superhero snack bags make lunchtime fun and easy. 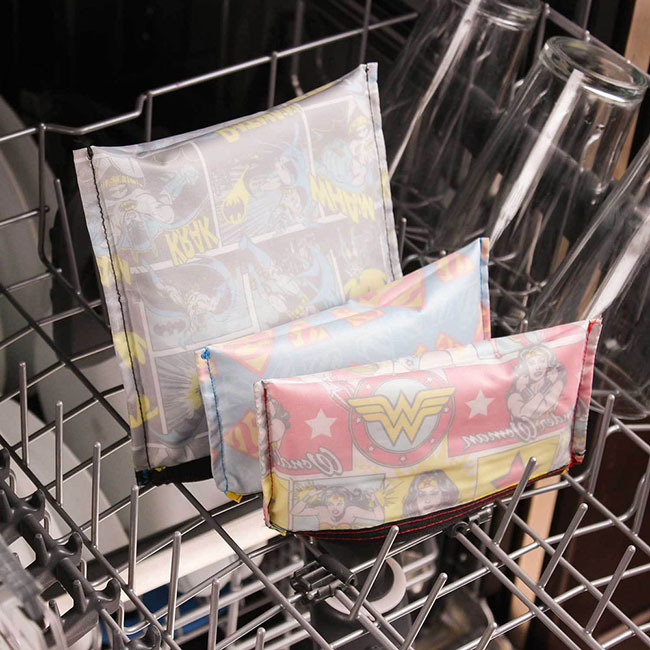 These reusable snack bags provide yet another eco-friendly alternative to single-use plastic baggies. Bumkins large snack bags are generously sized for larger snacks, even a whole sandwich. The small snack bags are ideal for vegetable sticks and crackers. They are all non-toxic and free of nasties. 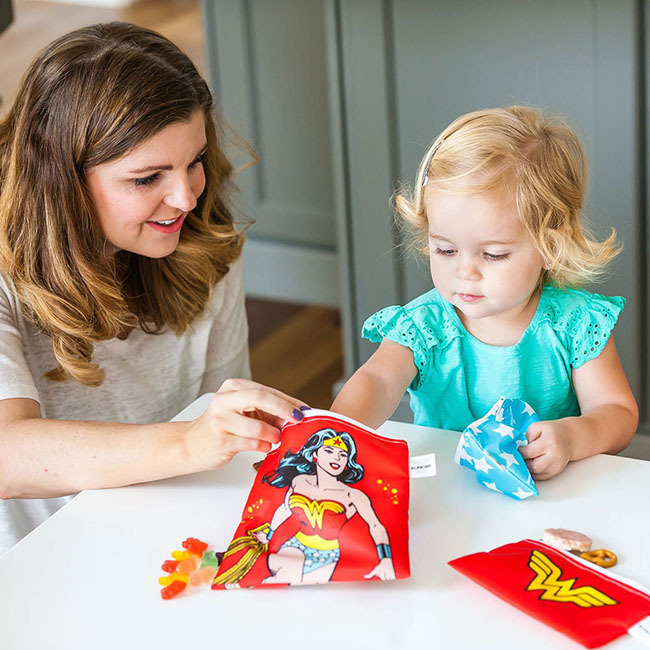 Made from the same easy-wipe waterproof fabric as Bumkins bibs, Bumkins snack bags are machine washable and dishwasher-safe. Awesome for many uses including: picnics, hiking, camping, cycling, fishing, dog treats, road trips and more! Great for non-food items, too.